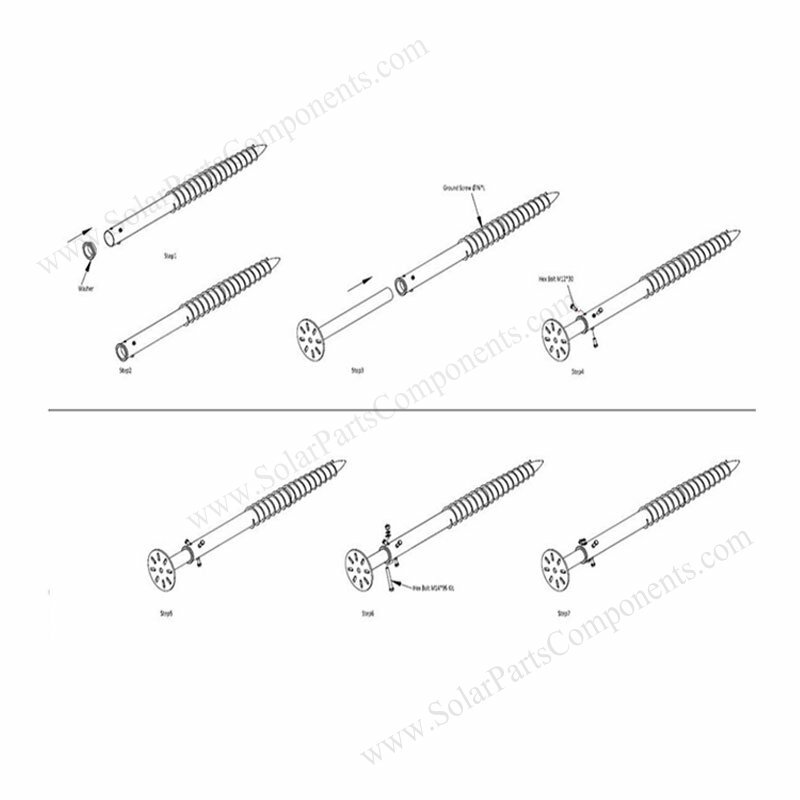 Installers should choose defferent mounting structures for solar panels, so that can fix PV modules firmly base on national wind and snow standards. 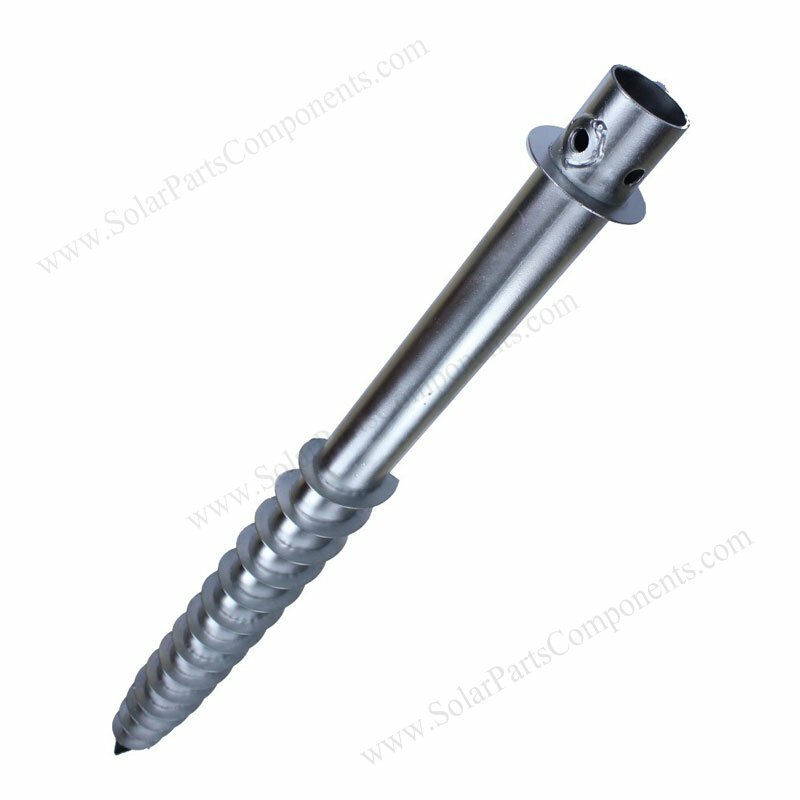 This ground screws with adjustable flange model SPC-solar-screws-A50 is specially designed for solar panel ground mounts. 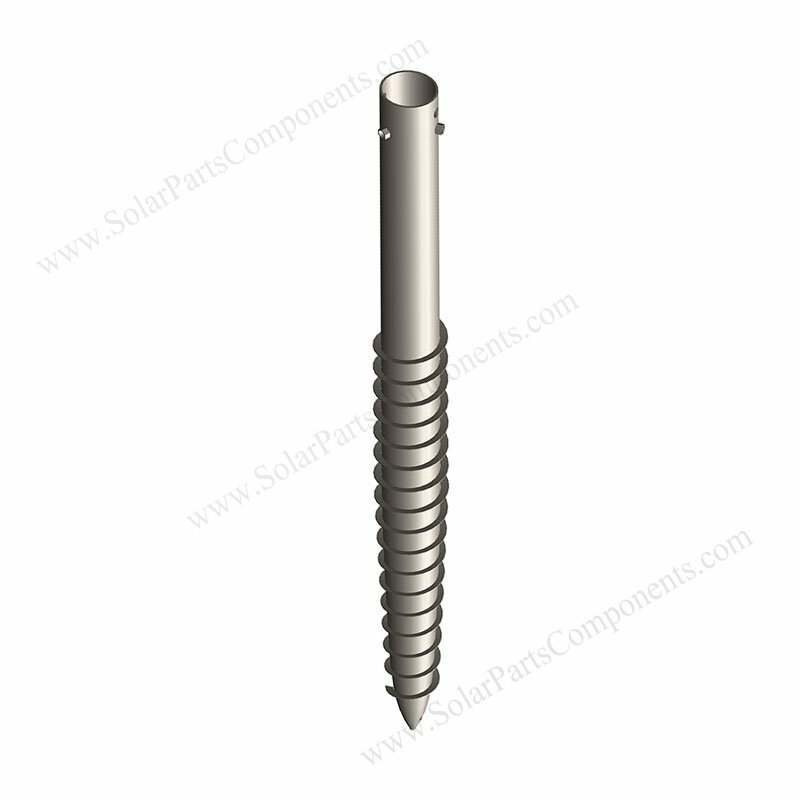 The most advantage is installers can fine adjust height of ground screws with our none fixed flange . By screwing up 3 units of nuts, the flange can be firmly fixed . Engineers can also select different steel flange according to sizes of base mounting nuts . 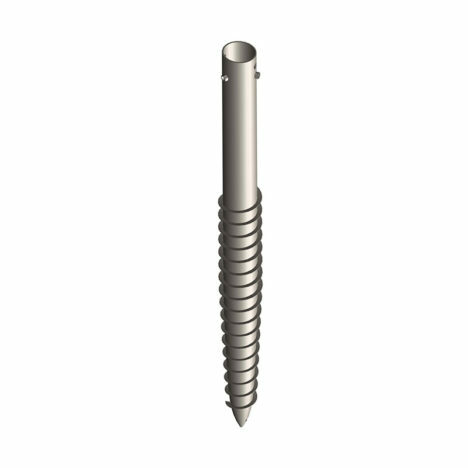 This can help keep all helical ground piles can keep all in a horizontal surface . 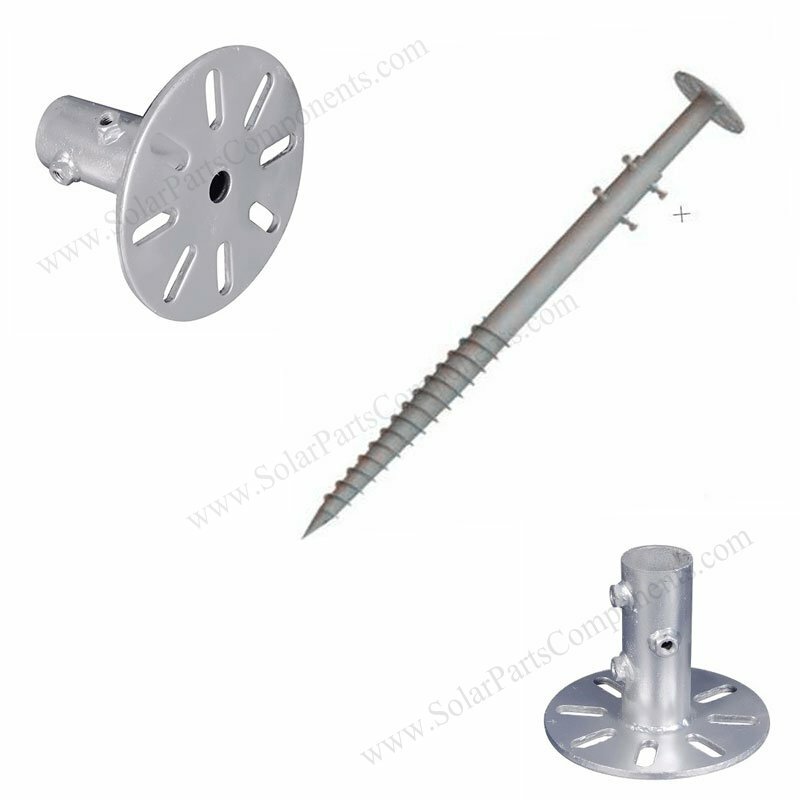 So that can offer a good mounting base for solar panels . 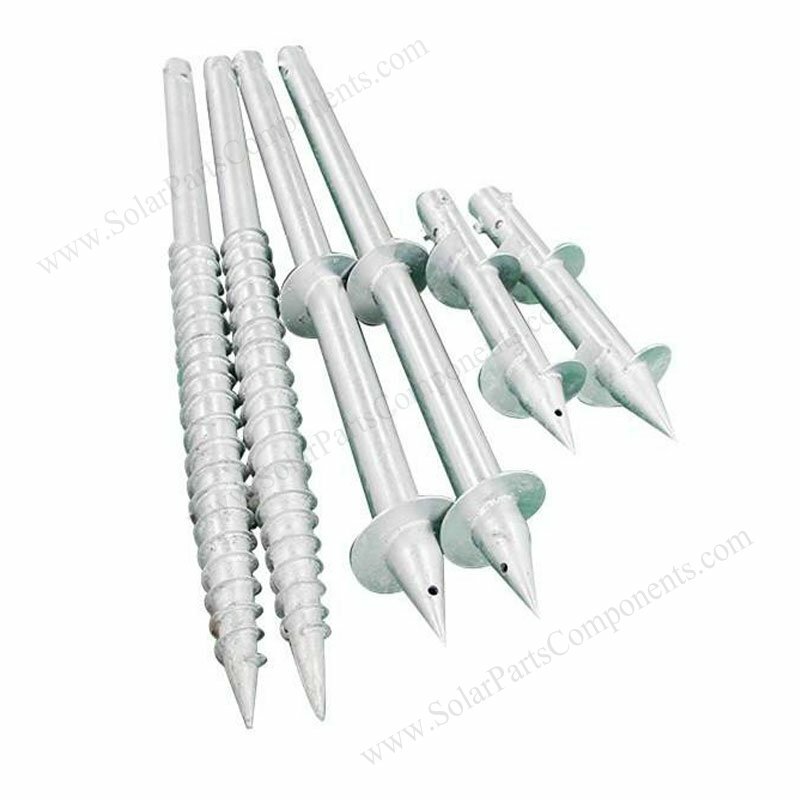 The solar ground anchors with flange is very suitable for wide range of soft soid and ground circumstance : sandy, soft soil, desert, mountain ground… with strong foundation supports . We adopt Q235 standard carbon steel for material and hot dipped galvanized finishing, this solar ground screw is super study, corrosive resistant, rusty resistant for more than 15 years . 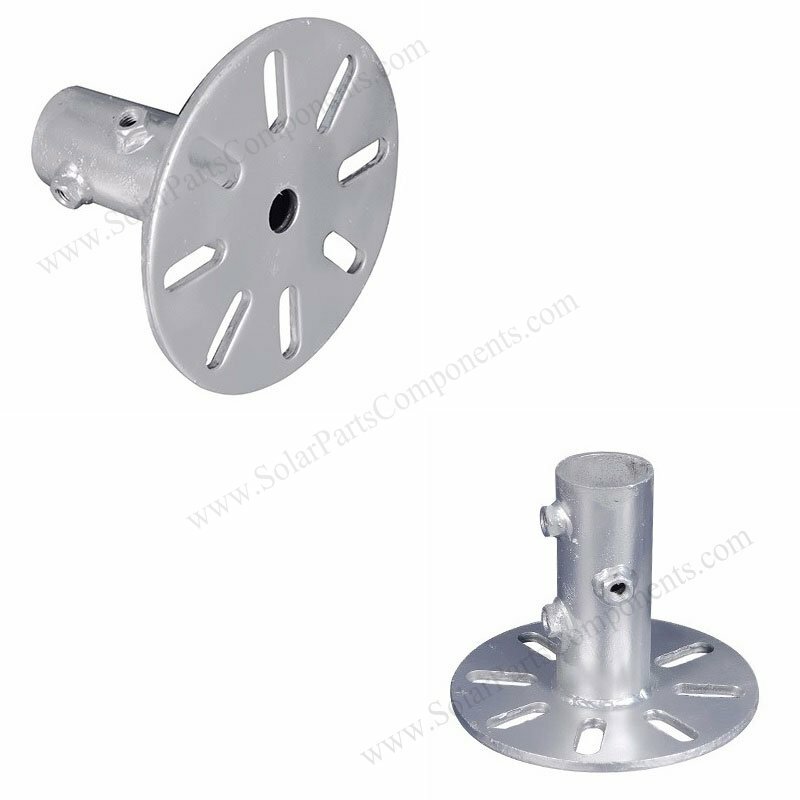 Different screw poles and adjustable flanges can be matched according to solar mounting requirements . – Easy and fast installation . 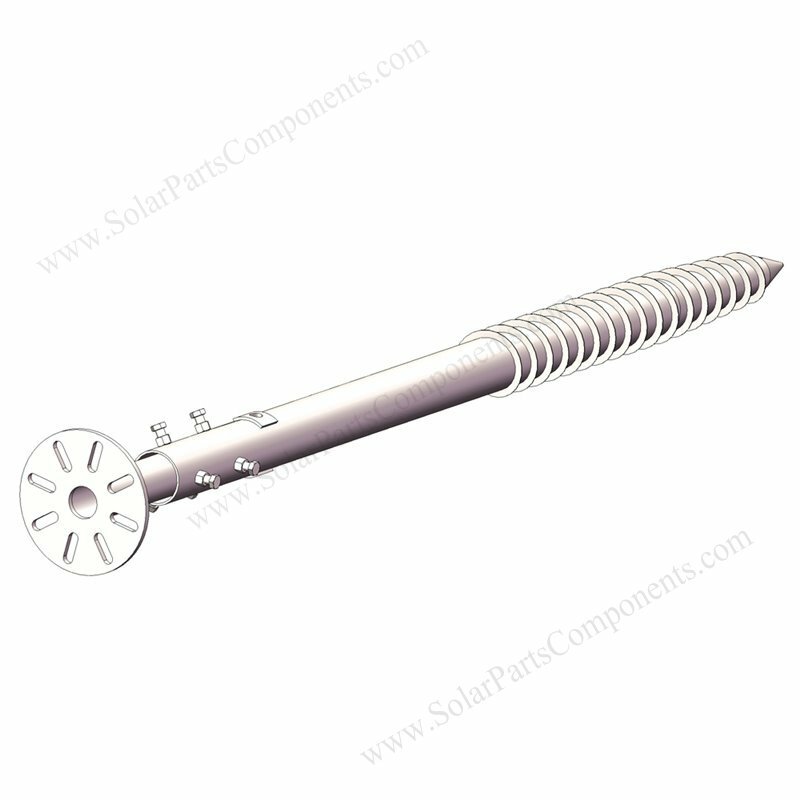 More types of height adjustable solar screws are available from Solar Parts & Components factory . 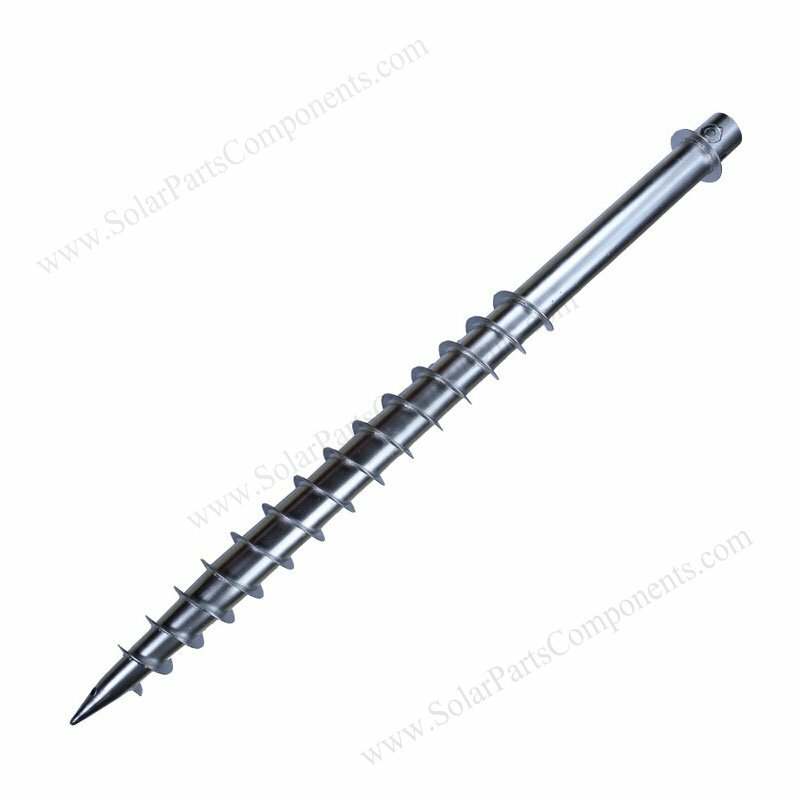 How to using this adjustable ground screws for solar panels ? 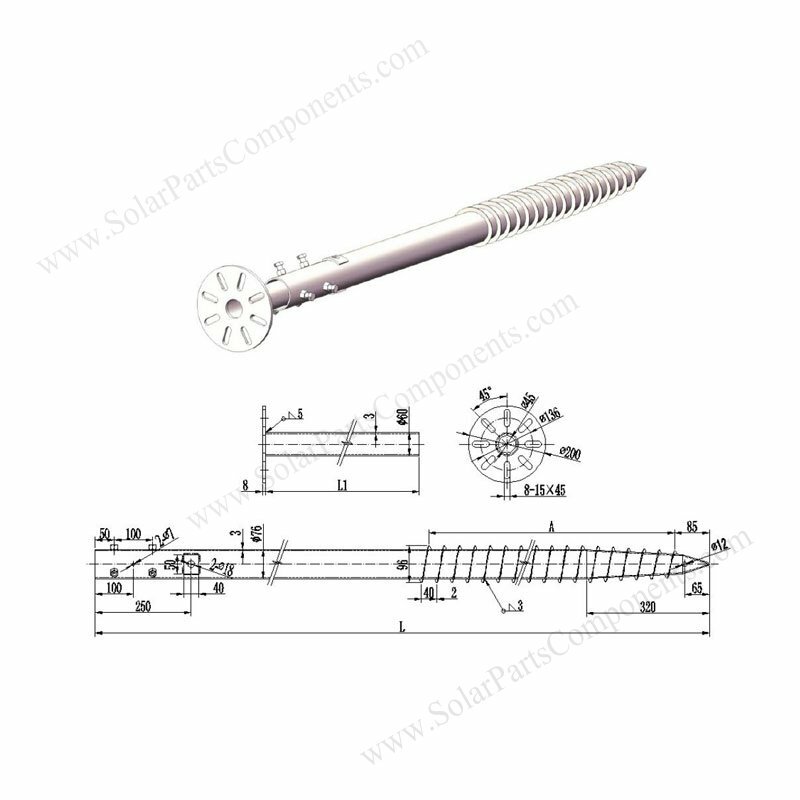 Adjustable flange ground screws is a kind of ground anchors with adjustable head which can be used for various ground mounting structures . it should be matched well for national standards . The thickness should be thicker when the length of pole is longer . 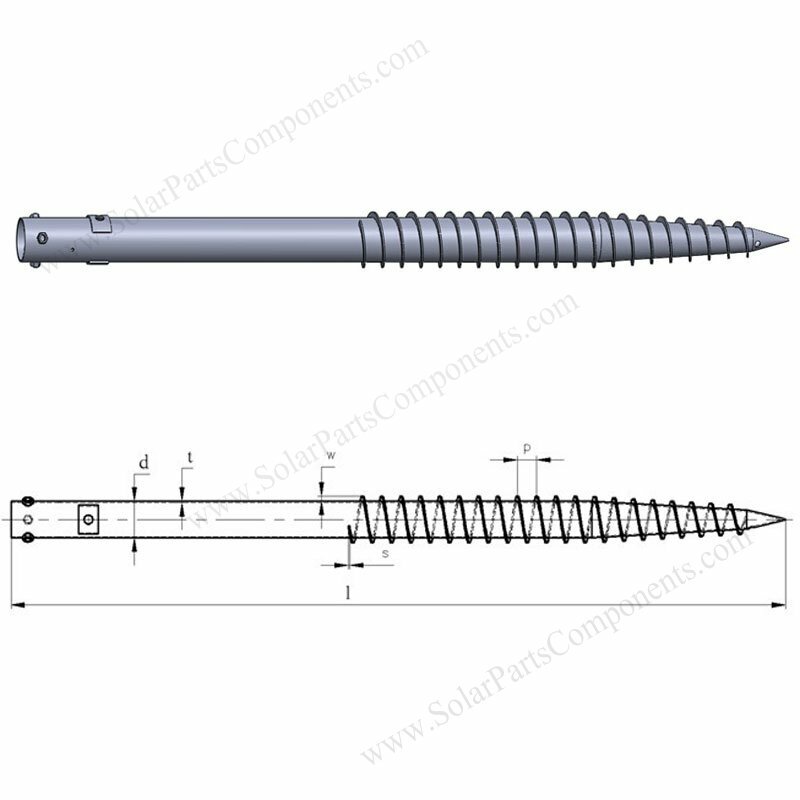 The diameter of inner pole connector should be matched with screw poles . Please select correct series no. Before purchase.